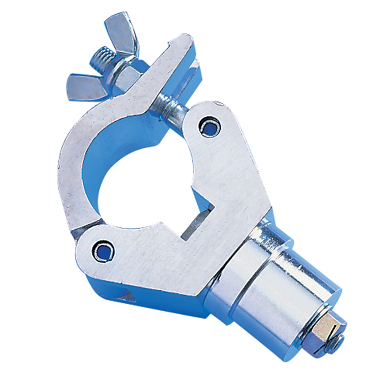 The Doughty finial coupler is available as ether a fixed or swivelling clamp. The swivelling clamp allows 360 degree rotation. This clamp is generally used with alluminum barrel. Suitable for welding only. Four sizes are available.